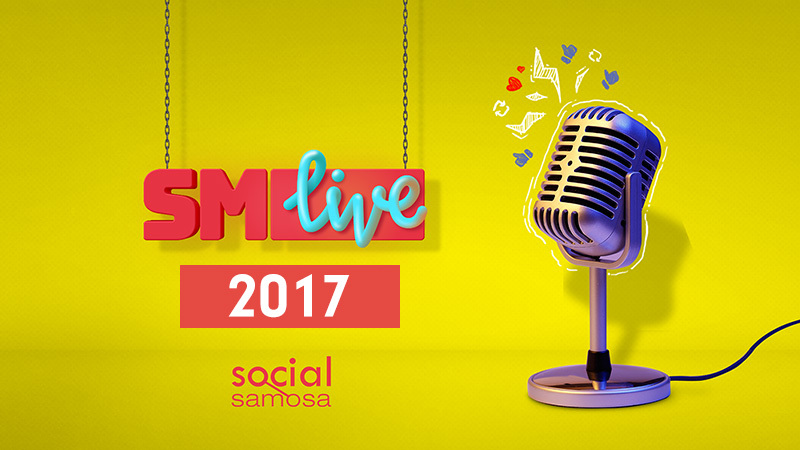 The Live Blog will give you real time updates from#SMLive, as the elite panelists share social media wisdom with you. The day has finally arrived! It is #WorldSocialMediaDay, the day to celebrate the medium that has been bringing the world closer and making it a better place! From protests to peace making efforts – all on this one platform. And then we there are brands, who complete this ecosystem. It is the celebration of this platform with #SMLive, a Live Social Media Conference by Social Samosa, with exchange4media as Media Partners and Treize Communications as Communication Partner. With an esteemed set of panelists, #SMLive starts at 11 AM with a Keynote Session from Rajiv Dingra, Founder & CEO at WAT Consult. This blog, will share Live updates from the conference! You can also share your questions with us in the comments below or on team@socialsamosa.com. We hope you will help us make #SMLive a memorable, knowledgeable and successful event. Rajiv speaks on The State of Indian Social Media Industry. Aashish is speaking on The Secrets of Viral Video Marketing. No one can make a video viral. Only audience can make a video viral. Viral is abused word in the industry! If you make 10 videos do not share all! Experiment! Make sure your company name is mentioned across all your platforms! The amplification is more important that creating the content! Please invest/identify in brand custodians, the person needs to know everything about it! Like individuals, brands have problems too! Team Filter Copy shares their views on Branded Content: The Right Balance between Creativity and Brand Placements. This marks the culmination of the first leg of #SMLive! Thanks for making this a memorable conference.